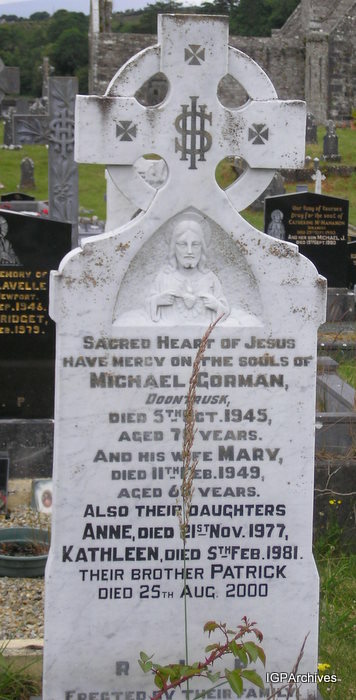 mayo-burrishoole4 -- Sacred Heart of Jesus have mercy on the souls of MICHAEL GORMAN, Doontrusk, died 5th Oct. 1945 aged 78 years. And his wife MARY died 11th Feb. 1949 aged 69 years. Also their daughters ANNE died 21st Nov. 1977, KATHLEEN died 5th Feb. 1981, their brother PATRICK died 25th Aug. 2000.